There are always some high-value prospects that you have not had a chance to meet and introduce your offers to. For these prospects, you may try cold email marketing to capture their attention and why not? Cold emails can have an open rate as high as more than 45%. So how do you get your prospect to respond to your emails and show interest in your products? While luck plays a role in the likelihood of getting a response, there are things you can do to increase the chances of getting your respondents to open, read, and respond to your email. Here are some few tips on ways to increase the reply rate for cold marketing emails. The subject line is the best point of increasing the email open rate. Below are guidelines for creating an enticing subject line. • It should be simple and direct. • The subject should not have click bait–the information in the subject line should be in the content of the mail. 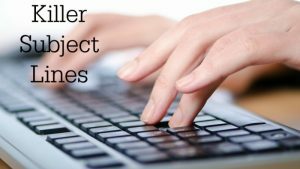 • The subject lines should provide value to the reader. • The preview of the email should give comprehensible information. One of the biggest cold emailing mistakes is sending the same message to all prospective customers. Every prospect is different. Therefore, a single message may not connect with every individual. It is important to research both the company that one wants to market to as well as the recipient of the email. One can research the social media profile and websites of the prospects, or learn about them through professional contacts. Armed with that knowledge, you can then draft an email that connects with their personality, beliefs, and their line of business. Most prospects do not respond to generic emails. People need to feel that the email addresses them and their situations and not mere generalizations. Most sales professionals are obsessed with their products and their potential that they forget about the needs of the prospect. When marketing a product to a business or an organization, the focus of the content should always be how the product would help the organization achieve its goals. Otherwise, an amazing product without any perceived value will not elicit interest. A good way to approach this challenge is to identify a problem that the company may be facing which can be solved by your product. Have this in mind when drafting the email and demonstrate how your product or service can help deal with the challenge. In addition, there should be a subtle message that shows that your product is better than whatever they may have been using. Unlike the final consumer, organizations take time to decide on products and especially where a substantial amount of money and learning time is required. Other times, the decision to meet the salesperson has to be discussed by a team. Therefore, one should not be in a hurry to follow up with subsequent emails. It is good to give the prospect several days, a week or two before sending any other email. When the prospect finally replies to the email, the salesperson should not be in a hurry to set up a meeting or prod the client for more information as he or she may risk making the prospect cold. Where a follow-up email aims at giving more information about the product, the customer should have time to breathe and process the information. Most prospects will back off when high-pressure sales techniques are employed. Most marketing emails sent to an address such as info@example are not responded to. This is because there is no specific person that the email addresses. Again, many emails bounce due to wrong addresses or being directed to people who have left the organization. It is important to determine the recipient of the mail and check if the address is correct to improve the delivery rate. A low delivery rate signals failure in conducting due diligence. Most marketers feel the urge to immediately ask to meet the customer in the very first email. Unfortunately, most prospects would not agree to a meeting after the first email. It is important to strike a conversation with the client and then warm them up to the product. A good approach to the challenge is treating the email as a face to face meeting. One does not go straight into selling a product to a stranger. There is a little conversation and getting to know each other before selling the product. Conversational emails have a high reply rate. A/B testing is a technique where marketers send different versions of the communication or marketing message to determine the message that performs the best, In case of cold emailing, one should check on one element at a time. For example, one could check the subject lines that have a higher open rate or content that has a high reply rate. Once the marketer is satisfied that one aspect of the cold email is optimized, he or she can go to the other elements. If one tests more than one element at the same time, there is likely to be a confusion as one may not able to determine which element account for the performance. Cold emails are like an elevator pitch; they should be short and sweet. The marketer should not oversell or make more than one pitch on the same email. The email should have the main point which is then elaborated by a paragraph or two. The prospects are likely to read out the whole email if it is short, straight to the point and gives them a solution to a problem that they may be facing. Cold email marketing is similar to meeting strangers. The email should introduce the sender, start a conversation, and give the recipient a reason to reply to the mail. Moreover, it should show that the sender understands the business and offers a solution to a challenge, or helps the organization improve in a particular area.